Want to explore more of Melbourne using public transport but not sure how to navigate your way around? Look no further than these following suggestions about the Sandringham train line that leads you down to the bay beaches. 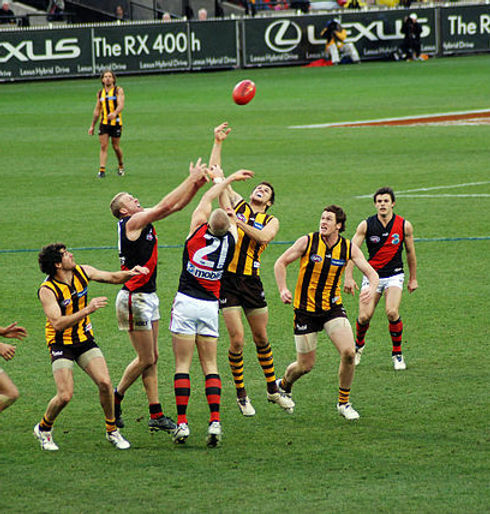 Home to the AFL and the Ashes, the Melbourne Cricket Ground is situated in Melbourne's inner suburb of Richmond. 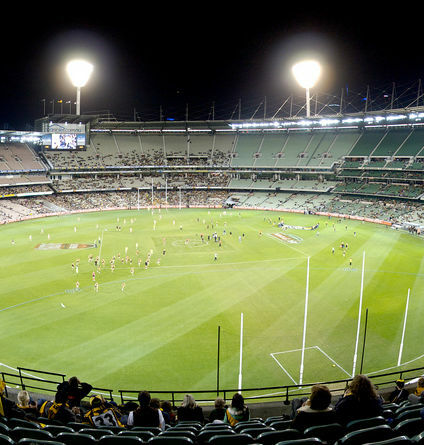 During the Winter months, the train is flooded with Aussie football fans donning their team colours as they flock to the MCG every weekend. AFL has been an integral part of our culture since 1858 with the finals played in September. It's always an exciting match as it is a game that is almost always high-marking with big scores. Hot meat pies, hot dogs, chips and cold drinks are on offer to enjoy as you get immersed in the crowd of cheering. Tickets for games are available through Ticketek.com or by phoning (+61) 132 849 and any left over are sold on the day at the venue, but it is definitely first in best dressed! The Cricket is also a great family day out with the Ashes cricket matches played over the Christmas Break, beginning on Boxing Day. 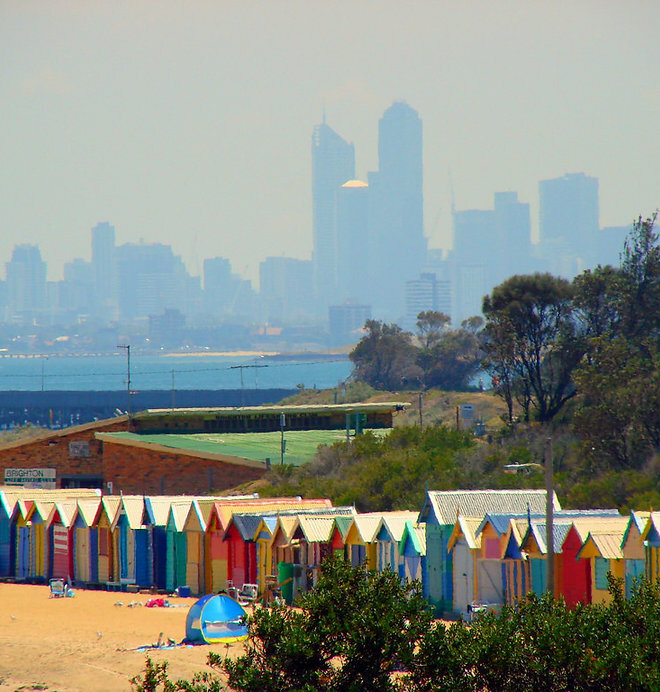 If you are a visitor to Melbourne, this is a must do activity and fun for the kids too! 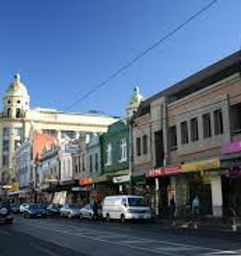 Balaclava is a trendy suburb 7km south from the CBD, where many buildings are architecturally adorned with Victorian terrace features as well as late Edwardian duplexes. Named after a battle in 1854 amidst the Crimean war, it is often over shadowed by the touristy St Kilda. But Balaclava is a must-see destination in its own right and not just a port of call on the way to it's busier neighbour. It is a suburb influenced by the Jewish community, with amazing bread shops and kosher food stores. There are many amazing coffee shops, bars and eateries such as Las Chicas- known for mexican brunches, Glass Merchants- an industrial style cafe and of course Yo Chi- a popular destination for frozen yoghurt lovers. 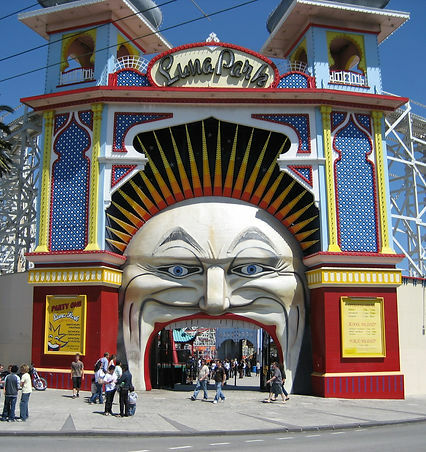 Just 2km's from Balaclava Station (about a half an hour walk down Carlisle Street), you reach the bustling town of Saint Kilda, known for it's Palm Tree lined esplanade and Luna Park, it is a prime destination for tourists. 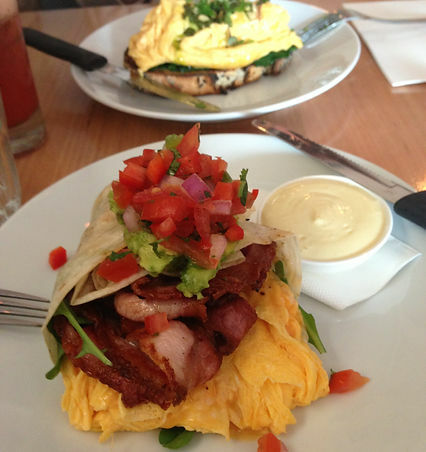 Eateries range from quality fine dining with ocean view restaurants such as The Stokehouse and Donovans to fun affordable bars and cafes on the beach or in Acland Street. Speaking of Acland Street, if you fancy afternoon tea, there are plenty of cake stores on offer in this pedestrianised hotspot. 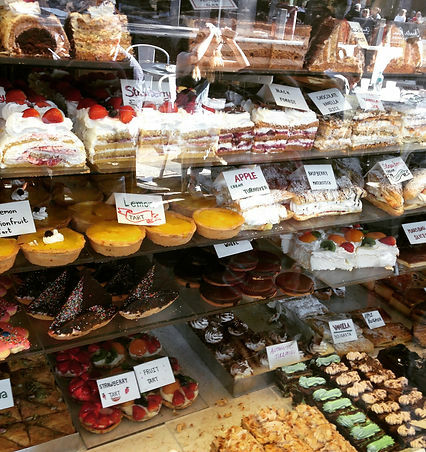 Just looking in all of the cake shop windows is enough to starve your appetite! Jump off at any of these stops to hit the eclectic shops, bars, cafes and restaurants of Chapel Street. 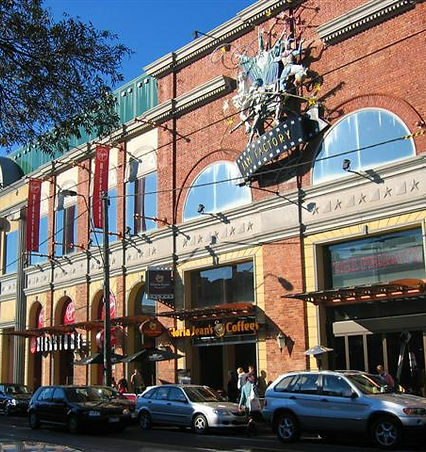 Known for its fashion, culture and street art, Chapel Street is the destination to go if you are wanting to see a Melbourne inner suburb thats filled with character and personality. The South Yarra end feels more metropolitan with it's designer shops, nice restaurants and cafes. The next suburb along Chapel Street is Prahran, full of high street shops, the Prahran market and plenty of bars and nightclubs. The furthest station away from the city is the hip suburb of Windsor, filled with vintage stores, up and coming cafes and brunch spots and it's completely different to the other end of Chapel Street. These are the perfect stops to explore if you are after a mix of Melbourne street culture. 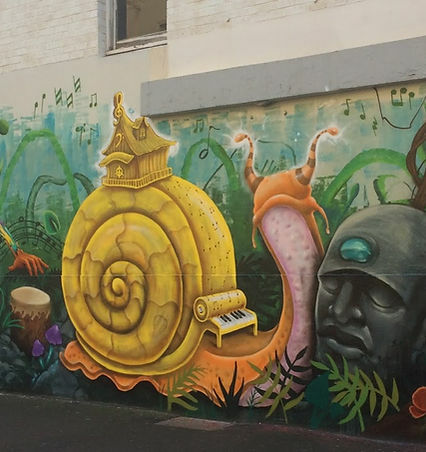 To explore more of Chapel Street and it's street art, get in the fast lane and join us on a run: Click Here. 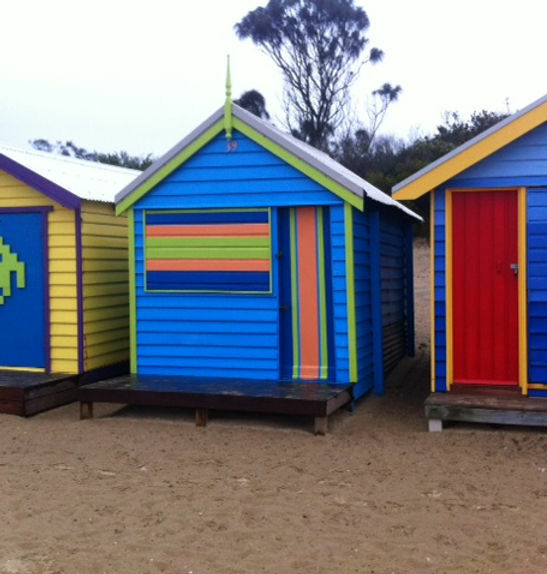 Not only is there a fabulous beach path to run or walk along just by crossing the road from the station, you will also be able to see the iconic beach boxes painted in vivacious colours. This beautiful beach has glorious views across the bay with the backdrop of the city skyline on a clear day and is a prime destination for sunbathers and swimmers in the Summer and photographers all year round.